The World Heritage Committee met in Krakow in July, and added the Assumption Cathedral and Monastery on the island of Sviyazhsk to the list of cultural sites, as well as the Landscapes of Dauria to a new natural sites list. What other sites should Russia suggest be placed on UNESCO’s World Heritage List? RBTH offers its own list. Russia might suggest the historical center of Pskov and its ancient environs (450 miles west of Moscow) to the UNESCO committee in 2018. 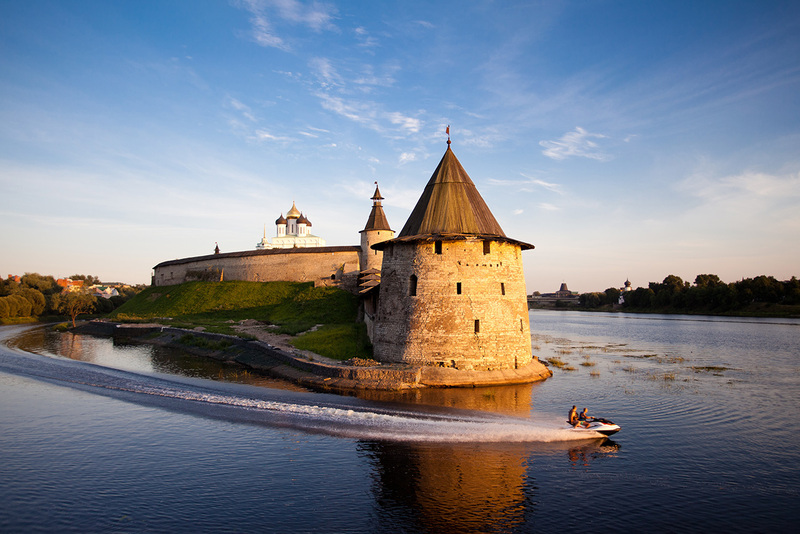 Great Pskov includes over 15 sites of nature, culture and the early history of the ancient Russian state in the Pskov Region. Among these are the 12th-century Mirozhsky Monastery with its unique frescoes, and the towers of the Pskov Kremlin. The famous St. George's Cathedral, built in the first half of the 13th century in Yuriev-Polsky (120 miles east of Moscow), attracts tourists from all over the country because of its unique white-stone carvings. The cathedral preserves a stone cross that was carved by Prince Svyatoslav in memory of salvation from the flooding Volga River in 1224. St. George's Cathedral may be included in the list of UNESCO world heritage sites in 2019. "As a part of the Golden Ring, Yuriev-Polsky is, in my opinion, an excellent choice for the UNESCO list. Its architecture, and particularly the medieval cathedral, combines the history of many centuries before and after the Mongol invasion. The small town has preserved much of its historical environment, and the natural setting is a beautiful reflection of central Russia," said professor William Brumfield, author of Architecture at the End of the Earth. Pereslavl-Zalessky (90 miles northeast of Moscow) was founded by Prince Yuri Dolgoruky in the middle of the 12th century. The town is part of the Golden Ring route, and the town’s Spaso-Preobrazhensky Cathedral may be included in the UNESCO World Heritage List. This is the only white-stone church of Northeastern Russia that has been almost fully preserved. In the 13th century, Alexander Nevsky was baptized here. After the cathedral suffered during the invasion of the Golden Horde, it was restored and Theophanes the Greek painted his famous icon of the Transfiguration. Today, it is on display in the Tretyakov Gallery, while the cathedral has its copy. This small town in the Vladimir region (230 miles east of Moscow) was included in the tentative list of UNESCO world heritage sites in 2017, and might be considered by UNESCO in 2019. This town was inhabited by Slavs in the 10th century, and is also part of the Golden ring. As UNESCO noted, the historic center of Gorokhovets is a unique ensemble of archeology, history, urban planning, landscape and architectural sites. UNESCO experts said the architecture of the historic city center blends in with the natural landscape. "Gorokhovets, on the high bank of the small Klyazma River, is one of the most scenic ancient towns in central Russia. Fortunately, much of its heritage has survived - not just churches, but also merchants' houses from many centuries. I enthusiastically support its inclusion on the UNESCO list,” Brumfield said. The Rostov Kremlin is located on the shores of Lake Nero, and its high fortress walls with 11 towers contain the Metropolitan's residence. The gates in the south and west are flanked by towers. “The Metropolitan's residence is one of the finest ancient Russian ensembles,” according to UNESCO's website. “It combines masterpieces of ancient Russian architecture and monumental painting.” It was included in a tentative list in 1998. Thousands of rock paintings from different historic periods that are found on the vertical rock outcrops and rock fragments bear witness to changes in the environment, husbandry methods, material and intellectual culture of the peoples who inhabited this area. The National Preserve of Kenozero (550 miles north of Moscow) impresses with its picturesque lakes, wooden chapels, ancient small villages and fluvioglacial hills. Due to geological conditions, the plain forms a specific uplift surrounded by vast wetlands and taiga forests. This fact induces relative isolation and high patchiness of the landscape. The Kenozero Preserve was created in 1991, and this national park has suitable regulations in order to maintain traditional natural resources management and preserve historical and cultural monuments. Since 2004, it is listed on the list of UNESCO’s biospheric reserves. The Ilmensky Mountains are located in the Southern Urals in the Chelyabinsk Region, and the nearest railway is in Miass (1,000 miles east of Moscow). The mountains are a unique geological phenomenon famous for semi-precious and rare metals in the pegmatite lodes. Different metamorphic and plutonic rocks, modified by deformational and metasomatic processes, are host to them. This site was included in the UNESCO tentative list in 2008. The Commander Islands archipelago (5,000 miles east of Moscow) consists of 15 islands that crown on a huge submarine volcanic ridge extending from Alaska to Kamchatka. Now, low hills occupy the most part of the Islands' territory. The Commander Islands is a mixture of Russian and Aleutian cultures, and the only place in Russia where a number of American birds are regularly mating. In 2005, the Islands were included in UNESCO's tentative list. This is the largest swamp system in the northern hemisphere, and is a geographical phenomenon due to its spread. The Great Vasyugan Mire is located within the boundaries of four Russian regions: Tyumen, Omsk, Tomsk and Novosibirsk. The mire has been on UNESCO’s tentative list since 2007. UNESCO has compiled the World Heritage List since 1978. The first Russian UNESCO sites in 1990 were the historic center of St. Petersburg, the Moscow Kremlin and Kizhi. In July 2017, the Assumption Cathedral in Sviyazhsk and the Landscapes of Dauria were added to the list, which now contains 28 Russian sites (17 cultural, and 11 natural).According to UNESCO rules, every year a country may nominate no more than two sites of cultural or natural heritage. The review process lasts about 1.5 years.